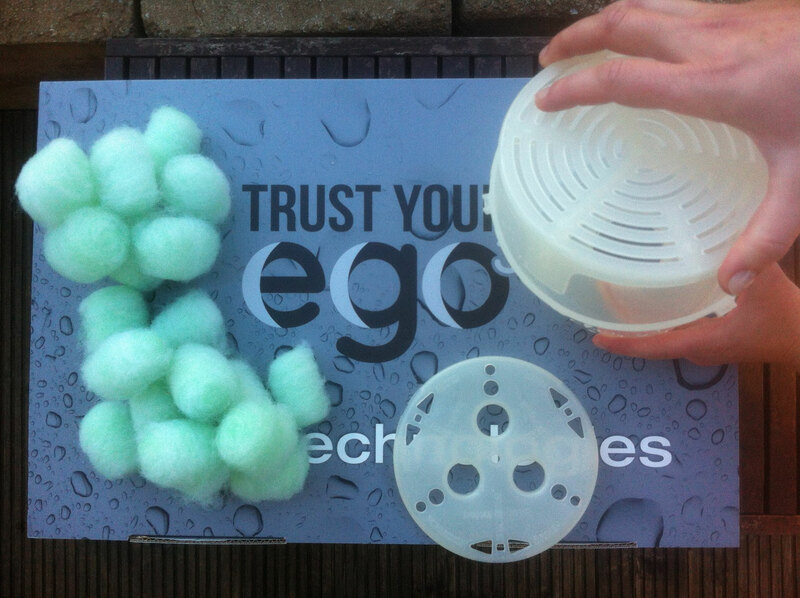 fill 18-22pcs of EGO³ Filterballs inside the Filterbody - dont push them too much! dont overfill! 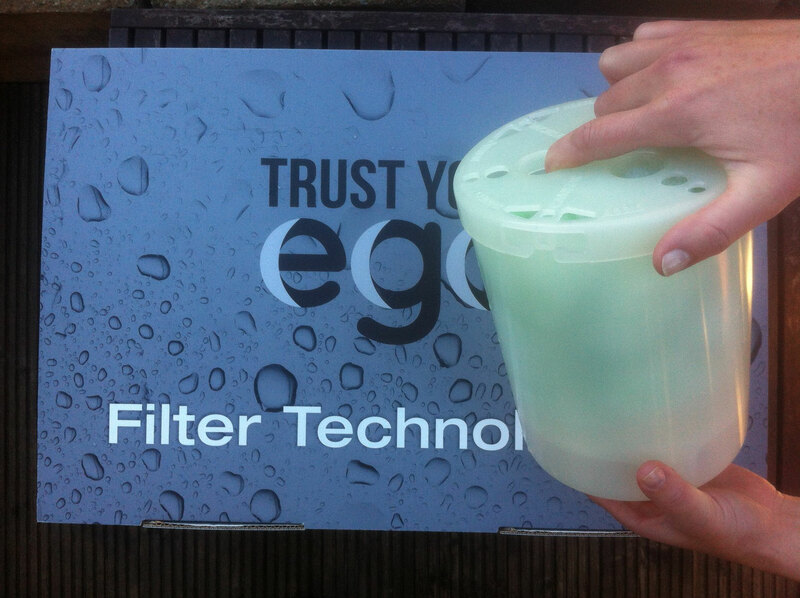 Remove your EGO³ Filter from your spa, let the water inside the filter drain outside the spa. 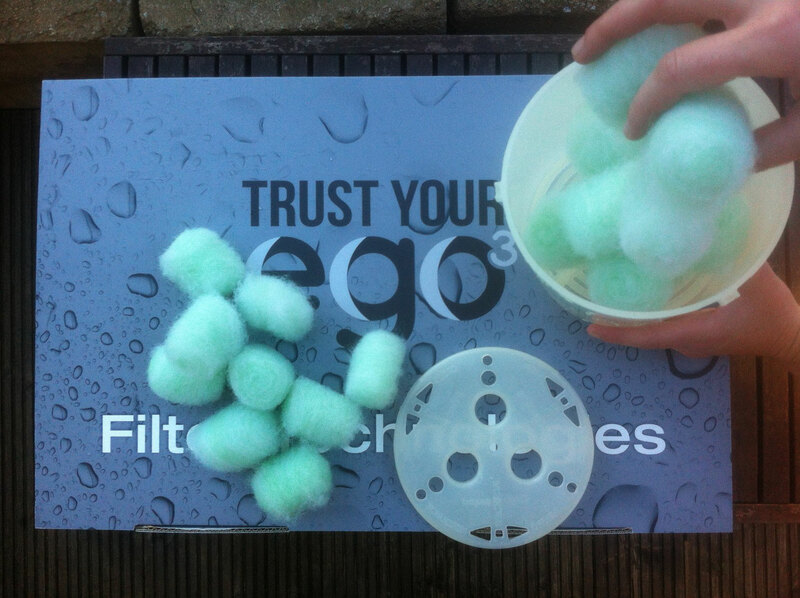 Empty the filter with the filterballs into a bucket (or washbasin) and squeeze them out like a sponge while you flush them with water. 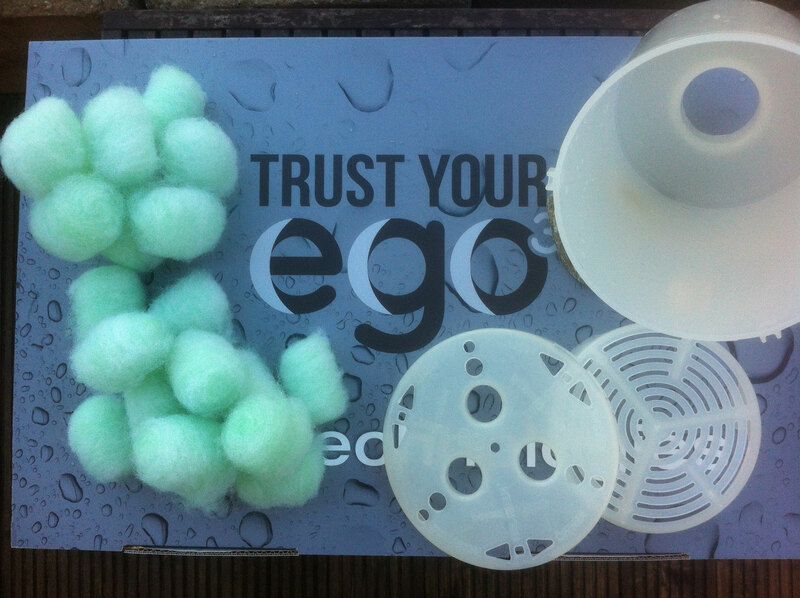 After 20min empty the bucket with the dirty water again and give all your EGO³ Filterballs a final flush with fresh water - squeeze them again. 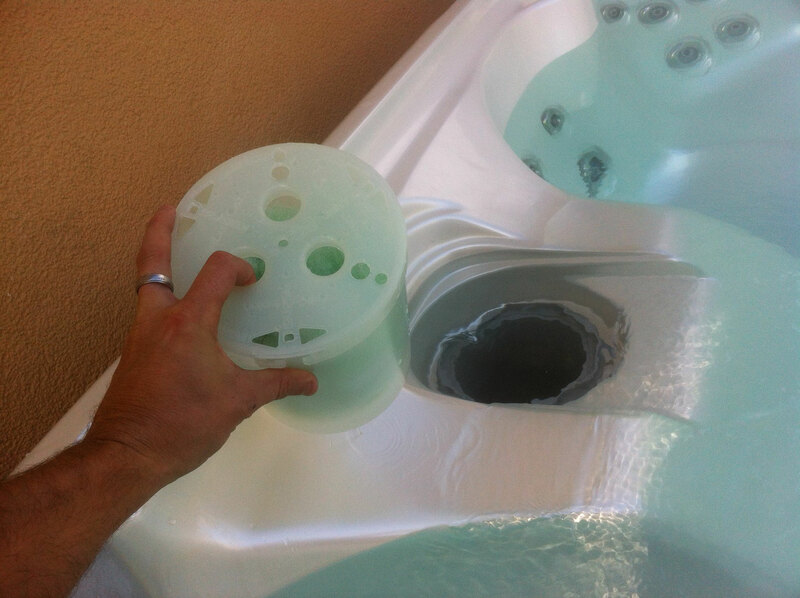 Ensure that no filterball is falling apart or get loose before you reuse them. They must stay in shape! Filterballs which lost their shape or are loose have to be exchanged! Dont use reuse them! Use EGO³ Filterballs ONLY with the EGO³ Filterbody. 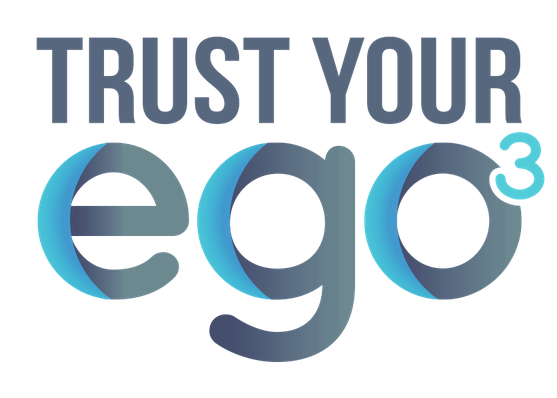 Use the EGO³ Filterballs only for the here shown purpose. 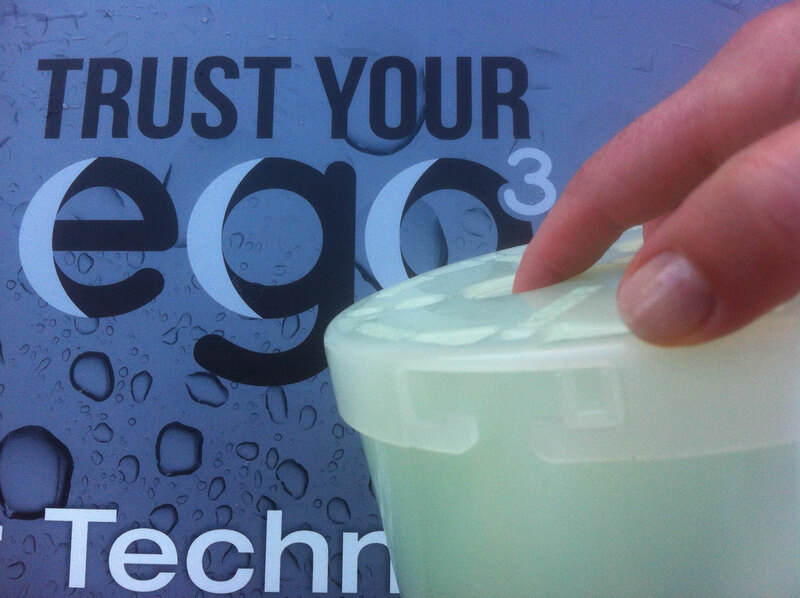 Only original EGO³ products guarantees you an errorfree operation and best results.